She is the sixth Filipina to win the Miss International crown. 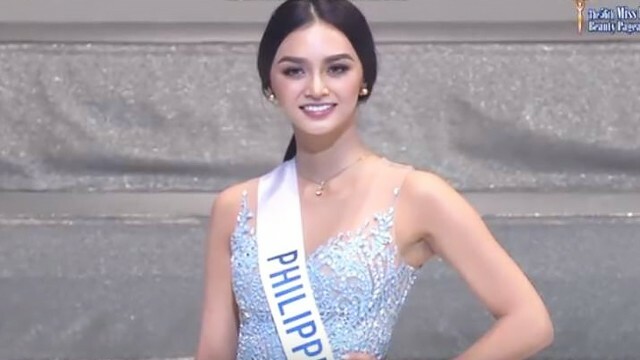 On Thursday, October 27, Kylie Verzosa won the title of Miss International 2016 held at the Tokyo Dome in Tokyo, Japan. Kylie—who is a pre-school teacher with a bachelor's degree in Business Management from the Ateneo de Manila University—is the sixth Filipina to win the Miss International crown. She joins the ranks of past Miss International winners Gemma Cruz-Araneta (1964), Aurora Pijuan (1970), Melanie Marquez (1979), Precious Lara Quigaman (2005), and Bea Rose Santiago (2013). Kylie triumphed over 68 other candidates from all over the world. Her court includes Miss Australia Alexandra Britton (1st runner-up), Miss Indonesia Felicia Huang (2nd runner-up), Miss Nicaragua Brianny Chamorro (3rd runner-up), and Miss USA Kaitryana Leinbach (4th runner-up).